Window condensation can be very aggravating. However, many homeowners don’t know that it’s proof your windows are doing their job. That being said, you’ll want to prevent it as much as possible to prevent water damage or mold from forming. We’ve come up with a few steps to eliminate or greatly reduce window condensation and prevent problems from occurring. 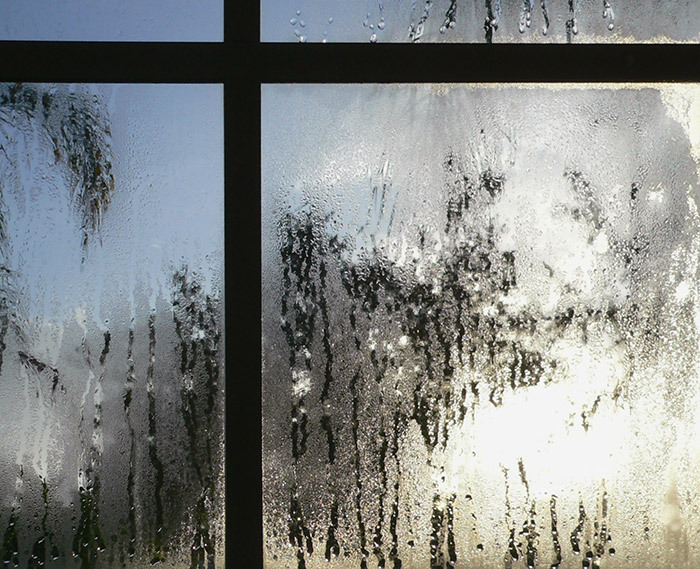 Condensation that’s on the surface of your windows has a simple explanation. It’s formed by moisture that’s in the air in your home. Most of the time, window condensation occurs in the winter when the warm air inside meets your cold windows. Think of it like a can of pop sweating on a hot summer day. This means your windows are creating an airtight seal which is great. On the other hand, if moisture is forming in between the window panes, then you more than likely have a broken seal. That means the energy efficient argon gas is escaping and your windows are no longer protecting you from the cold, outside temperatures. There’s a porous substance in between the two panes that is used to absorb moisture. This is called a desiccant. If that becomes completely wet, then you can have moisture in between the two window panes. Now that we have a better understanding of window condensation and the common causes of it, we can get started on how to eliminate it. As stated above, window condensation can cause mold and water damage that can affect your entire home, not just the window. Here are some steps below that you may want to consider taking to greatly reduce condensation. Window condensation could be caused from a lack of weatherstripping. Weatherstripping is inexpensive and is great at lowering your electric bill by helping control the drafts and the temperature of the home. Look at the weatherstripping in the window and see if it has been damaged or if you have any at all. Over time, weatherstripping simply wears out and needs to be replaced. Check the lining of the window and see if it needs to be installed or replaced. If you think your home has an excess of moisture in the air, then you may want to consider getting a dehumidifier. They remove moisture from the air, and you can use them in the bathroom, bedroom, closet or even kitchen. Simply turning on some fans can reduce window condensation. By circulating the air in your home, you prevent moisture from settling on the window. By turning on some fans you’re clearing away the condensation. When taking a shower or cooking, turn on the exhaust fans. This helps the moisture leave the home. Cooking and showering adds moisture to the air. Turning on that exhaust pulls all that moisture out your home, preventing condensation from forming on your windows. When you lower the temperature in the home it naturally will lower the temperature of the windows. Condensation forms when the warm air from your home meets the cold window. By lowering the internal temperature, you lower the risk of condensation. You may need to replace the entire window. There can be a serious problem with your window such as seal failure. This can be costing you comfort, raising your energy bills and putting your health at risk. It’s best to get a high quality, vinyl and double pane window to solve the problem. 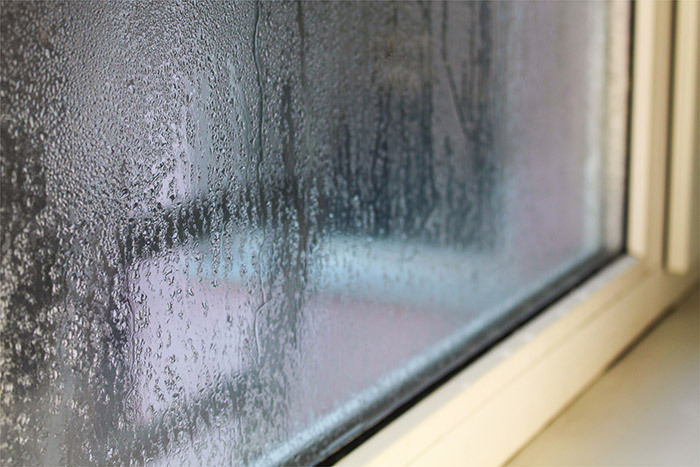 We know that window condensation can be frustrating but for the most part it’s an easy fix. If you’re having it on the inside of your windows, don’t ignore it. It can cause damage over time. So, check those seals and perform some of the steps above to protect your home. In the end, it’ll lower your utility costs for heating and cooling your home. So, there’s plenty incentive! If your windows have been experiencing condensation for a long time and you can’t get it to stop or the seals have failed, trust Feldco for the best window replacement in Milwaukee. As America’s #1 window company, you’ll be in excellent hands. Get a free quote online to start your window replacement project to get your home looking and feeling great.